From 1892 to 1894, the Niagara Falls Power Company built a horseshoe shaped tunnel extending from the Niagara Power Company Powerhouse. It required 20 million bricks to line and 800,000 metres of lumber to provide support for the interior. The dimensions were 2042 metres long by 5 metres wide by 6 metres high; it was located 49 metres underground. A total of 28 workers died in construction related accidents during this project. The tunnel was in place to displace 2.72 million kilograms of rock. Edward Dean Adams would design the requirements for the Niagara Falls Power Company Powerhouse #1. The new powerhouse was built 2.4 kilometres above the Falls. In 1895 Powerhouse #1 was built in bayed sections highlighted by circular topped windows measuring 4.3 metres wide and 4.6 metres high. The building was originally 42.7 metres long, although later is had to be expanded to 137.2 metres long when all of its generators were installed. Water delivered to the pit wheels below the powerhouse would deliver 100,000 horsepower. The Niagara Falls Power Company Powerhouse #2 was built in 1903. In 1895, the Niagara Falls Power Company began placing contracts with the Westinghouse Company for long distance electric transmission development and implementation. It included the building of transformers that could handle 1,250 horsepower and the stringing of overhead wires capable of transmitting 11,000 volts. 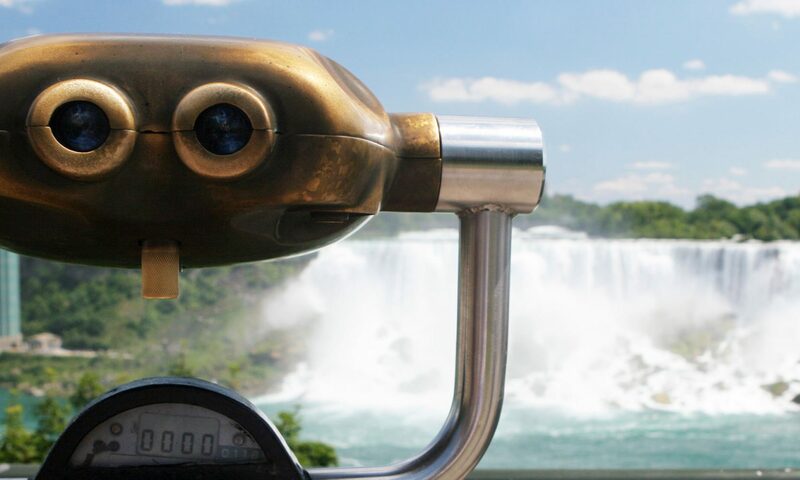 On November 15th 1896, the City of Buffalo joined the power grid being generated from Niagara Falls. It became the first long distance transmission of electricity for commercial purposes. With this new success, new industry moved into the area.